Send PDF links directly to a PDF viewer like Adobe Acrobat Reader. 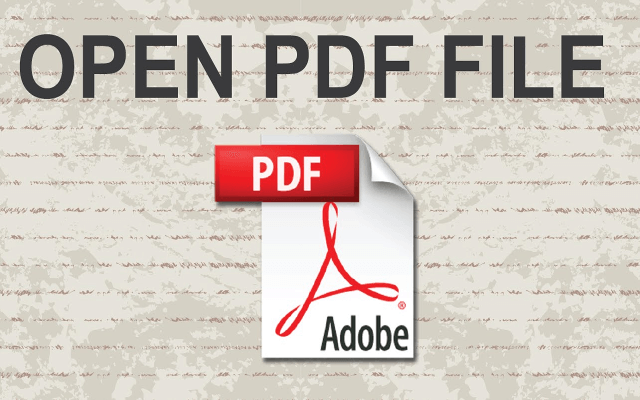 Open With PDF Reader addon send PDF links directly to a PDF viewer like Adobe Acrobat Reader. Please check the YouTube Tutorial at the bottom of this page to get an idea of how this Addon works in your browser. If you want to contribute to the developement of this Addon, please Fork it on GitHub, and push your changes to a named branch. Moreover, you can review all the comments made on GitHub commits. Thank you for using Open With Adobe PDF Reader. We are sorry to see you leaving! it would be greatly appreciated if you would take a moment to give us your feedback about why you uninstalled this Addon. The developer will further improve this Addon according to your valuable ideas. Some of the important features about Open With Adobe PDF Reader addon are listed below. This is followed by an overview about this addon. This summary contains few words about the addon, its function and features. Next is FAQ, this section is useful to get information about how this addon works in your browser. If you couldn’t find a specific answer, please fill the bug report form in this page or the contact form in the homepage to let us know about your question. Following the FAQ, is the bug report form. It is designed to collect user feedbacks and bugs about this addon. Users can suggest improvements or feature requests through this form too. Next section is for submitting comments about this addon which uses facebook comments plugin. The last section is dedicated to reports submitted through the GitHub website. We hope the information provided in this page, could help you get all the basics you need about this addon and enable you to have a better experience with Open With Adobe PDF Reader. Allows you to open and download PDF files as you browse with just one click. You can choose to open PDF files in your desired PDF viewer. Has a right-click context-menu item for easy access. What is Open with Adobe PDF Reader? Open with Adobe PDF Reader, is a simple and very lite addon which allows you to easily open desired PDF links in a chosen PDF viewer. Default option for the PDF viewer is adobe acrobat reader. In windows 10, the default location for Adobe Acrobat is: "C:\Program Files (x86)\Adobe\Acrobat Reader DC\Reader\AcroRd32.exe". If you have a different OS, or if you installed Adobe Acrobat in a different folder, please adjust the field accordingly. You can change this from the options page. Moreover, there is also an input field which you can add arguments for the viewer. For example, to open PDF as full-screen or without toolbar. Please note that, if you change the PDF viewer make sure to change the input arguments as well. Each PDF viewer has its own arguments to function. If you keep adobe as the default PDF viewer, please visit this page to get more info about input arguments (http://www.adobe.com/content/dam/Adobe/en/devnet/acrobat/pdfs/pdf_open_parameters.pdf). How can I operate with this addon? In order to operate with this addon, please right-click on any link (a link to a pdf document) and then click on - Open and Download with PDF Viewer - item from the context-menu. The PDF file will first be downloaded and then opened in a default PDF viewer (the one which is set in the options page). 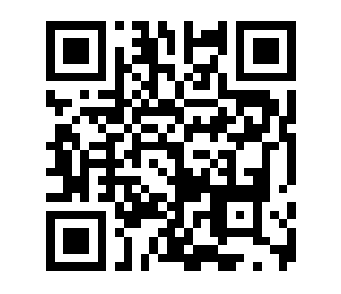 Please note that, the PDF file will be downloaded in the default download folder in your browser. What do I need to do before using the addon? When you first install the addon, please head to the options page and adjust the path for PDF reader. Depending on your operating system, the path to PDF viewer could be different. For example, in windows 10 the path to Adobe Acrobat Reader is: "C:\Program Files (x86)\Adobe\Acrobat Reader DC\Reader\AcroRd32.exe". If you choose a different viewer, please make sure to adjust the path accordingly. Once you set the correct path to PDF viewer in the options page, please install the native-client patch. This patch is used to make the communication between the addon and PDF viewer (native app). Please read the following to get more info about installing native-client patch on your machine. Native client patch is used for connecting your browser (Firefox, Chrome and Opera) with native applications on your machine (Windows, Linux and Mac). If you have an add-on in your browser that needs to communicate with an external application on your computer, this native client patch can be used to easily make this connection. How can I install native-client patch? After installing the addon, you need to connect it with native applications (i.e. IE) on your machine. In order to make this connection, a separate patch is provided in GitHub. Please download and install this patch from here. Follow the instruction in the GitHub page to download and install the related patch to your system. After installing, the "Open in PDF Viewer" addon in your browser can communicate with PDF viewer (i.e. Adobe Acrobat Reader) on your machine (Window, Linux or Mac). Can I just open and NOT download the PDF file (.pdf URL)? No, you cannot directly open a PDF link in an external application. You need to first download and then open a PDF file in an external application. How can I change the default PDF viewer? In order to change the default PDF viewer, please head to the options page and edit the top input field. Default PDF viewer is Adobe Acrobat Reader. You can change this viewer to your desired choice. Please make sure to write the correct path for the viewer. How can I add arguments for the PDF viewer? Does this addon has a toolbar button? What if I open a single PDF file, multiple times with this addon? Every time you open a PDF file, the addon will download the file and then opens it with external PDF application. Each time the file will be downloaded with a distinct name in the default download folder.